This is a very memorable power ballad from the early 90s, although I remember some of the music press slating the song for being "contrived" and "too American". Well, whatever, but it's down to the record-buying public to decide at the end of the day! The German rock band had already released eleven albums before Wind Of Change gave them their first major hit in the UK. 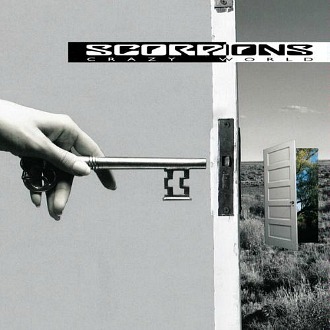 Featuring on the 1990 album Crazy World, this was Scorpions first song to top the charts in their home country, and reached #2 in the UK and #4 in the U.S. The track was written by the band's frontman Klaus Meine and the B-side featured a song entitled Tease Me Please Me. Crazy World was the band's first album to top the charts in Germany and achieved 2x Platinum. The album also reached the Top 30 in America and Great Britain. The band have continued to have successful albums in Germany, with the most recent release, Sting In The Tail reaching #2 in 2010 and achieving Platinum. Scorpions first hit in the UK was in 1979 with the double A-side Is There Anybody There?/Another Piece Of Meat which peaked at #39, although at this time only the Top 30 was ever counted down on the major radio stations such as Radio One. But the band had to wait another 12 years before Wind Of Change gave them a second hit in 1991. The follow-up single Send Me An Angel reached #27, giving the band their last British hit single.